Avraham: Will You destroy the righteous with the wicked? Perhaps there are fifty righteous people in the cities. Will You destroy…? 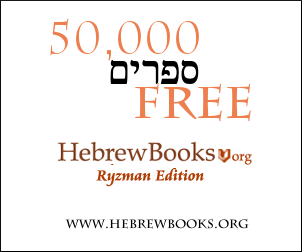 Hashem: If I find fifty righteous people in the cities, I'll spare the cities for their sake. Avraham: What if the fifty are lacking five? That's nine per city. You, the Righteous One, can combine with those nine to make ten per city! Hashem: I won't destroy the cities if I find forty-five there. Avraham: Maybe forty can be found! Save four cities! Hashem: For the sake of forty, I'll not destroy four cities. Avraham: Save three cities for thirty righteous people? And that was the end of the conversation. Avraham already knew that Hashem would save one city for the sake of nine righteous people if He would for the sake of ten: after all, Hashem had agreed to add Himself to nine early in the conversation. And there was no point in asking that eight righteous people should save a city because, after all, eight righteous people — Noach and his family — couldn't save the world from the deluge. But Lot (with his family) was only four people! Was Avraham wrong to stop at ten — he should have bargained for even four righteous people to save a city? If not, how was Lot able to save the city if Avraham couldn't? Answer: 1) Rav Chatzkel Levenstein answers that as fervently as Avrohom prayed on their behalf, it wasn't possible for him to match the intensity of the prayers of Lot, who personally dwelled in the cities being obliterated and was directly affected by their destruction. He also suggests that the angels were grateful to Lot for hosting them, which obligated them to honor his request, while Hashem had no such debt to Avrohom. Rav Chaim Kanievsky suggests that Avrohom didn't present the argument made by Lot (that Tzo'ar's sins were less than its neighbors), which would have indeed been accepted had he made it. Rashi explains that Avraham learned from the flood that for the sake of 8 people He would not hold back. This didn't change. It remains true. In fact, in normal circumstances, Noach and family would have been swallowed up asking with his generation, which is why he had to be holed up in an ark. We find the Pasuk in Yecheskel referring to Noach, Daniel and Iyov as those few who survived a calamity that happened around them. Avraham Avinu couldn't separate one city from the other four. The decree was on all of them, and for good reason. His campaign was based on the apparent unjust aspect of having the righteous amongst the Sedomites getting caught up in the punishment. His request was to refrain from punishing at all for the sake of those righteous few. But the fact that one city had less sins was not a reason, even from the viewpoint of this world, not to include it. Lot, upon necessity was able to cash in on the difference, while requesting to save himself that way. There was indeed enough of a difference between Tzoar and the other four cities to exclude it because of technical issues. Lot had access to this technical issue, Avraham did not. In fact, it seemed to me that Lot did this purposely to save that city. We see that he left there right away. Avraham and lot were making two totally different arguments. Avraham was basing his argument on merit vs sin. There wasn't enough merit so the cities couldn't be saved. Lot was saying i am weak and can't walk so far, can't you let me go there. He wasn't asking for justice but for mercy. The addition of Zoar being younger was just something to which to "hang" the mercy on. Similar to how in tachanun we don't list our merits and say well if so you should forgive me, rather we say our sins and ask forgiveness. Avraham prayed that Hashem would save a city, and give 10 righteous people a chance to influence the rest. Lot not only prayed for compassion and patience: in his prayer he was offering to actively be that positive influence. Not the answer you're looking for? Browse other questions tagged number rashi vayera tzaddikim sodom-ammorah .